Recently the Digitization Centre at UBC Library digitized a vast collection of CiTR’s audiotapes, making them available online through Open Collections. The audiotapes extend from the 1940’s to present, and include interviews, music programs, documentaries, public service announcements and news broadcasts. These audio recordings are a cultural record of student life and voices from the UBC community spanning 70 years. The collection compliments the digitized series of Discorder magazine already available on Open Collections. CiTR is the broadcasting voice of UBC: live on FM radio since 1982. 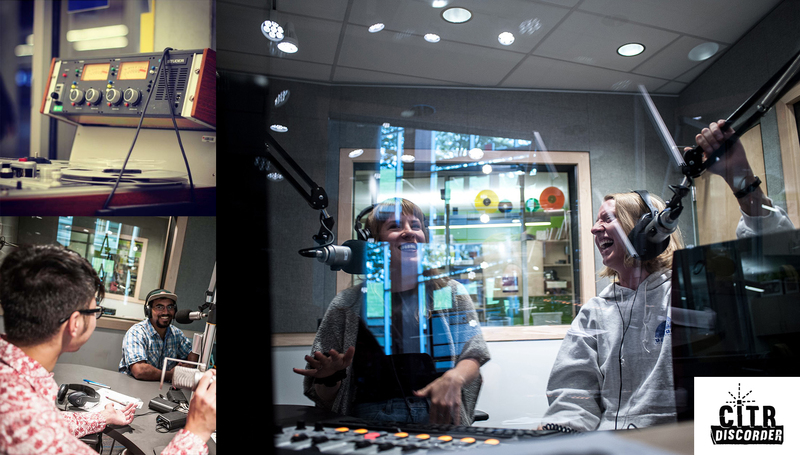 The station is run by the Student Radio Society of UBC and broadcasts over 100 locally focused radio programs in seven different languages. Unique content found in the audio collection includes an interview with Lou Reed from 1977, as well as a 1996 interview with band Sleater-Kenney, featuring member Carrie Brownstein, who now stars in the popular TV series Portlandia. Another topic of note is an audio recording of the first womens’ studies lecture at UBC from the late seventies. Acknowledgements to the UBC Library Digitization Centre, UBC University Archives, BC History Digitization Program, and CiTR donors for contributing to this project.